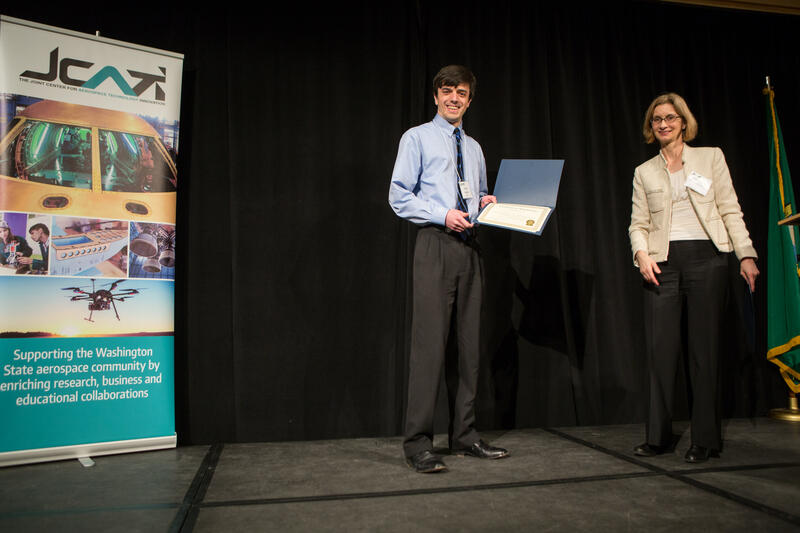 The annual Society for the Advancement of Materials and Process Engineering (SAMPE) Conference and Competition is an event all Plastics and Composites Engineering students strive to attend at least once before graduation. This year we have been faced with the unfortunate obstacle of this conference being located across the country in North Carolina. So, we have started this fundraising page because we want to share this experience and networking opportunity with as many of our PCE students as possible, especially our Seniors. 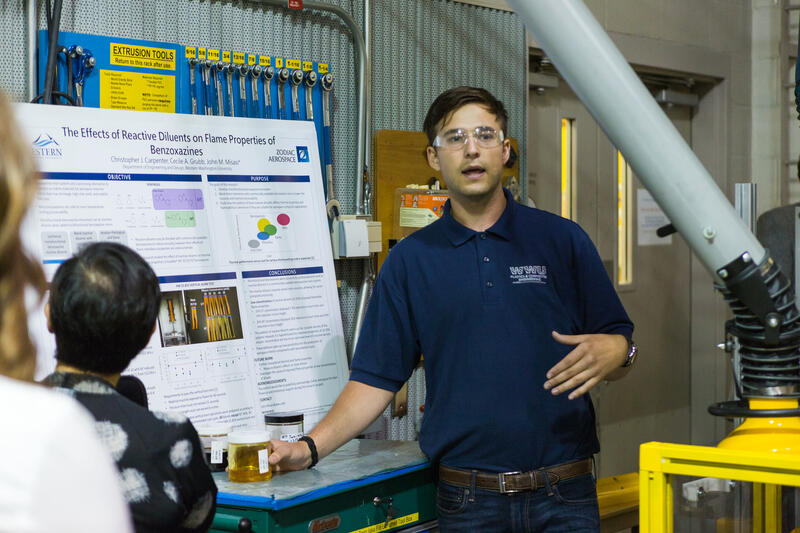 At this conference, industry professionals, educators and students alike present research being conducted in many areas of the Plastics and Composites Engineering industry. Presentations discuss topics like new materials, recycling, renewable material sourcing, processing development, and many more. SAMPE also hosts a composite beam building competition and additive manufacturing competition. Both contests invite undergraduate students to construct the most effective and efficient products in order to compete against and compare with other students around the world. Competing is not the goal of these events however. The focus of these events is the students' opportunity to self guide themselves through the engineering process. From designing a structure based on specific qualifications, then researching and testing the most effective means of serving a specific application, and finally constructing their final product. Then competing students are also asked to do a presentation. This presentation walks judges through the students' research, design, testing, and implementation process. The experiences had before, during, and after the competition are all incredibly valuable to providing our students with a sense of the professional environment they will experience after graduation. For these reasons, among countless others, we would incredibly appreciate your help supplementing us with the resources we need to make this opportunity possible. By donating you are giving future engineers the opportunity to develop skills and experiences that can be found so plentifully in few other places. 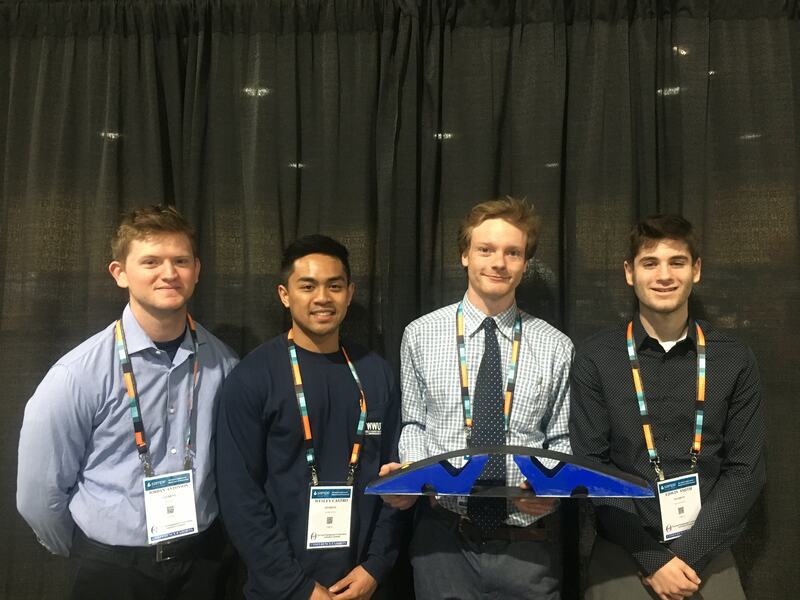 On top of the research presentations, and engineering competitions at this conference you are giving us the chance to network with event sponsor professionals from companies like Boeing, Stratasys, Altair and more. These are all the sort of invaluable opportunities that, like our education, a price cannot be put on. Unfortunately, a price tag has been placed on our travel and stay near the event location. Our appreciation of any and all contributions can not be overstated, and we will use every cent contributed to improve our students' experience as well as the engineering industry to the upmost of our ability. Thank you again, we appreciate your support! Cover one day of a students hunger. Help keep a student focused on presentations and research findings! Our brains consume 70% of our caloric intake per day, We appreciate your help wrapping our minds around all the unique and interesting research findings being presented! Provide 1 (or more) nights of an individual student's lodging. Help them rest easy and have the energy to drink in all the mind expanding and networking opportunities this worldwide conference has to offer. Split the cost of a students airfare with another donor. A donation of this amount almost covers one students airfare to and from the conference location in Charlotte, NC and comes with our club members' indefinite appreciation. This donation also illustrates, and reinforces to students, the appreciation for the study of engineering sciences that make so many of today's modern marvels possible!